The Collins top is It is A-line in shape, perfect for hot summer days. It features a round neck, panel lines, a high-low hem and a centre-back opening, with a button and loop closure. 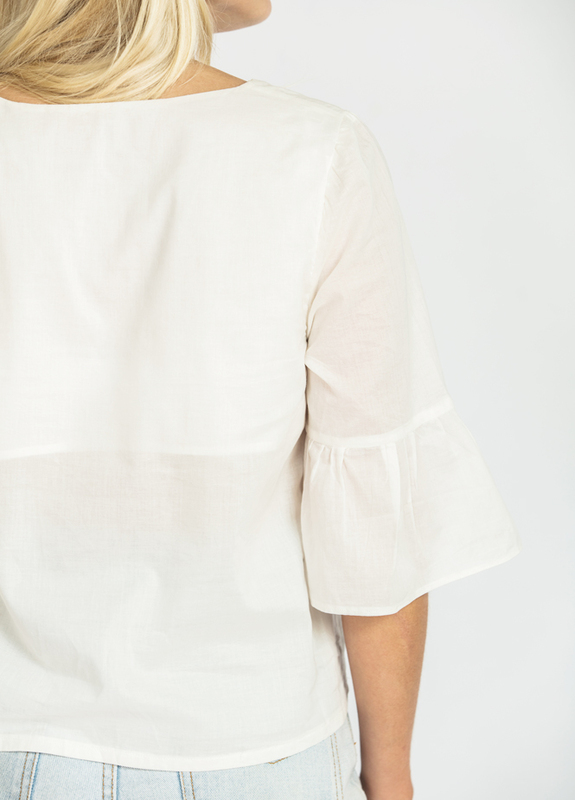 Due to its length, the Collins Top is the perfect top to pair with skirts or trousers that sit on or above the natural waist. As always, this pattern is available in 10 sizes, from bust 76cm (30in) - 131cm (51.5in). What I am most excited about when it comes to the Collins Top is that I designed this pattern specifically for beginners. Okay, I know, I know, there are a lot of pattern pieces and panel lines (I really can't help myself, can I? ), but I believe that if you have mastered sewing a straight seam and a curved seam, you can make the Collins. Also, due to the loose nature of the top, there are not too many fitting issues to worry about (possibly just a full bust adjustment), which makes it even more beginner friendly! And, although I designed it specifically for beginners, it does not mean that you more seasoned stitchers won't enjoy it too. It is a really fun pattern to sew up, and lots of room to play! The Collins top (view A) has a three-piece raglan sleeve with some extra volume, which creates a fun and interesting shape. 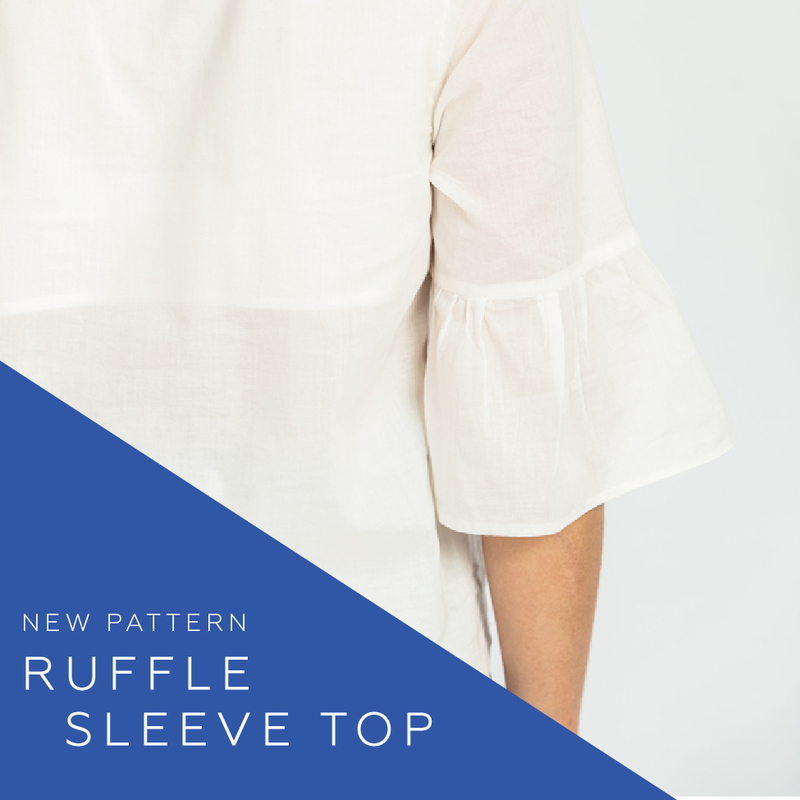 Due to the nature of a raglan sleeve, there is no sleeve setting in required (it is all done flat), so it comes together really quickly and easily. The neckline is finished with bias binding. As you can see in this sample, this pattern leaves a lot of room for playing with stripes (or colour blocking), which really highlights the panel lines in the design. As I knew this was something a lot of you would get excited about, I created a little template that you can download for free and experiment with your ideas of colour blocking and stripe direction, before cutting into your fabric. Download it now. The Collins top (view B) is sleeveless and the neckline and armholes are finished with an all-in-one facing for a really clean and professional finish. The Collins top is compatible with a range of different fabrics. Your choice of fabric will dictate the silhouette you achieve. Consider using light to mid-weight fabrics such as: linen, linen blends, cotton, gauze or chambray. For a softer silhouette, consider sateen, silk (crepe de chine or habotai) or viscose (rayon). These two versions were made from cotton, so I can't wait to share all the tester versions next week, so you can see the range of silhouettes you can achieve with this pattern! Learn more about the pattern and grab your copy here. What do you think? I'd love to hear your thoughts about the new member of the In the Folds pattern family. Posted on April 20, 2017 by Emily Hundt and filed under new pattern, sewing patterns and tagged collins top new pattern sewing pattern pdf sewing pattern. "Peppermint is an Australian eco fashion and lifestyle quarterly focused on style, sustainability and substance. 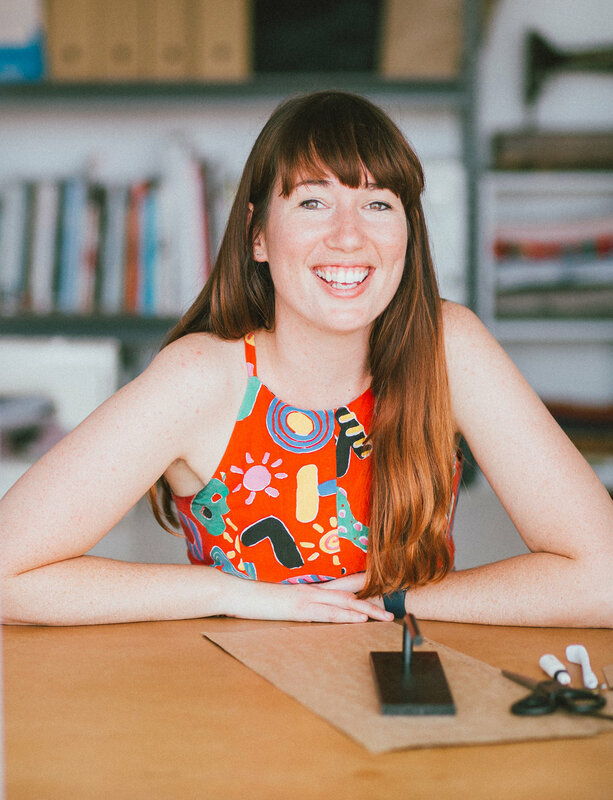 Covering food, fashion, natural living, health and beauty, DIY, diversity, social entrepreneurs and more, it was created for the rapidly growing number of consumers who appreciate good design and creativity, but also care about social and environmental issues, positive media and things that matter." They have a section on their website called 'Sewing School' where you can access a whole lot of great patterns, and now I have a pattern amongst them! The pattern is a lovely snugly raglan sleeve jumper dress, with in-seam pockets, which is a really quick sew. 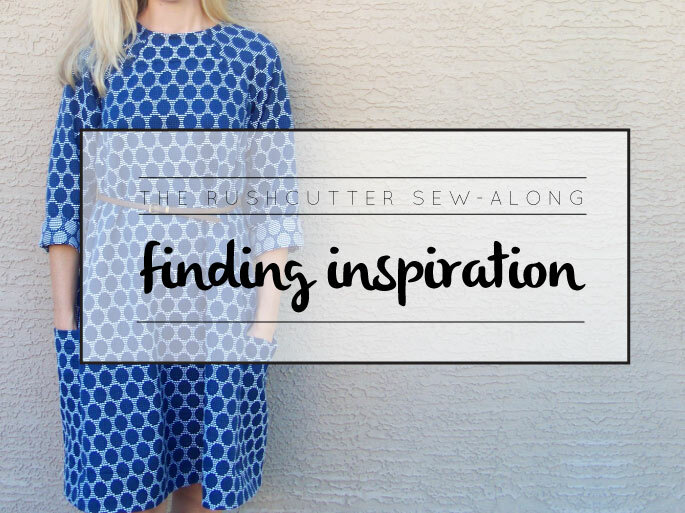 It can be sewn with an overlocker or standard sewing machine (and the instructions include both methods) and could be tackled by a confident beginner. Best of all, it's free! You can download it directly from the Peppermint Magazine website. While you're there, you should also check out all the other great patterns that are available. Posted on June 10, 2016 by Emily Hundt and filed under new pattern, sewing patterns and tagged new pattern jumper dress.